The GammaTech Durabook S15C has been discontinued. No direct replacement is available. The GammaTech Durabook S15C rugged notebook comes equipped with the computing power and performance needed by the most demanding user and is designed with rugged features to protect the system from damage in the toughest working environments. The Durabook S15C comes with a brilliant 15.6" HD display and is powered by the Intel i5 and i7 CPU platform. Standard features include an RS-232 Serial port, TPM 1.2 data security and a Smart Card Reader. System options include a Bluetooth 2.1 module and a 1.3 megapixel webcam. The GammaTech Durabook S15C is encased in magnesium alloy to protect the unit"s vital components and is tested to MIL-STD 810G specification for drop, shock and spill protection to insure the systems reliability in the field. The Durabook S15C rugged notebook computer offers everything you need in today"s mobile environment. Dual Core 2.13GHz (P6200, 3MB Cache), 15.6" HD TFT, 2GB RAM, 320GB HDD, Drop, 1366 x 768, Wi-Fi (802.11b/g/n), Super Multi DVD/RW. Core i7-620M (2.66GHz, 4MB Cache), 15.6" HD TFT, 2GB RAM, 320GB HDD, Drop, 1366 x 768, Wi-Fi (802.11b/g/n), Super Multi DVD/RW. Core i5-560M (2.66GHz, 3MB Cache), 15.6" HD TFT, 2GB RAM, 320GB HDD, Drop, 1366 x 768, Wi-Fi (802.11b/g/n), Super Multi DVD/RW. 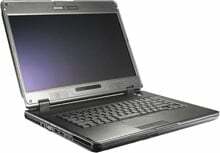 Core i3-380M (2.53GHz, 3MB Cache), 15.6" HD TFT, 2GB RAM, 320GB HDD, Drop, 1366 x 768, Wi-Fi (802.11b/g/n), Super Multi DVD/RW.